Happy to announce the upcoming litter out of our homebreed Roseridge Royalty This will be her third and last litter and is a line-breeding into my dearest SEVCh Roseridge Rusticana. 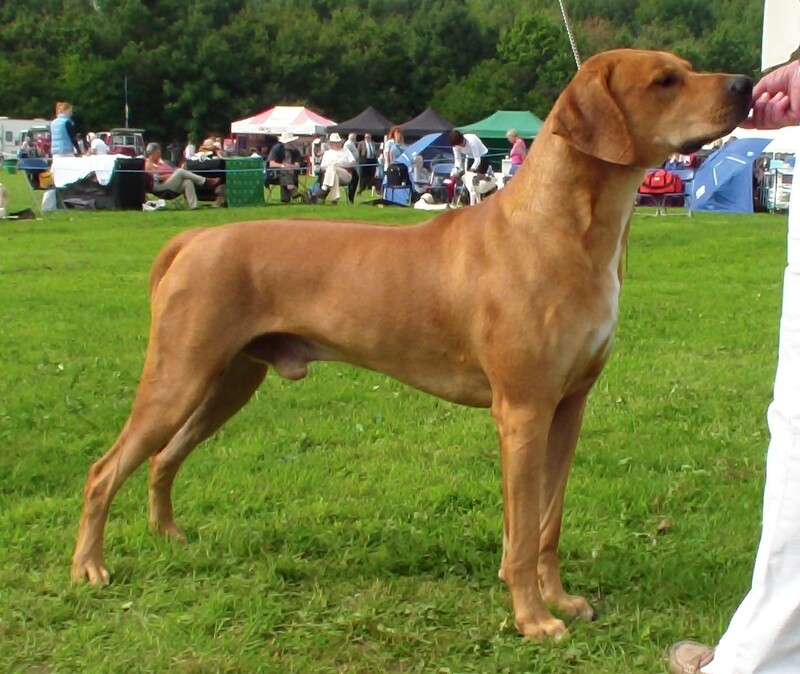 The sire is the handsome Ch Mahlubandile Ayaba The puppies are due beginning of March 2019 (week 10). More info coming! 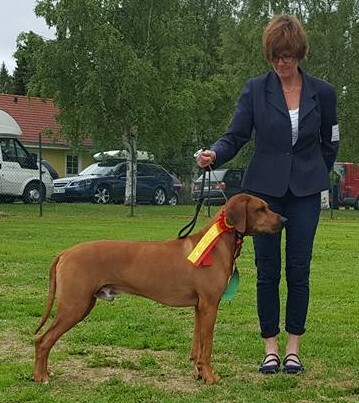 Proudly present SEUCh FIUCh SEVCh Mohaget’s Mister Masai – out of SEVCh Roseridge Red Rosette – gaining his crowning certificate 12th September at the International Show in Hogbo under judge K-E Karlsson. 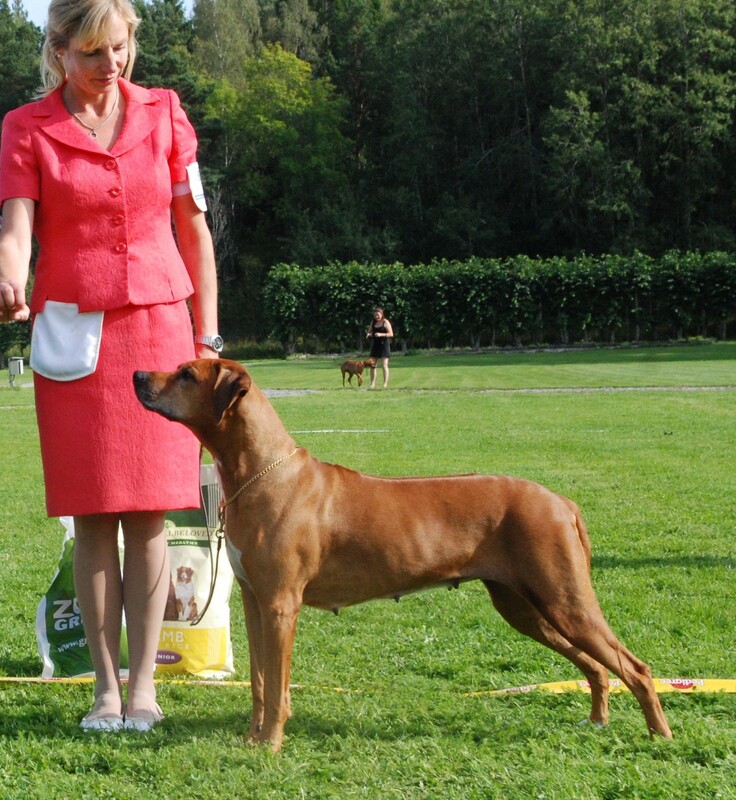 At the same show litter sister Mohaget’s Miss Melody gaining her second certificate. Roseridge Royal Romeo, JW, winning his third and qualifying CC today and gaining his title. 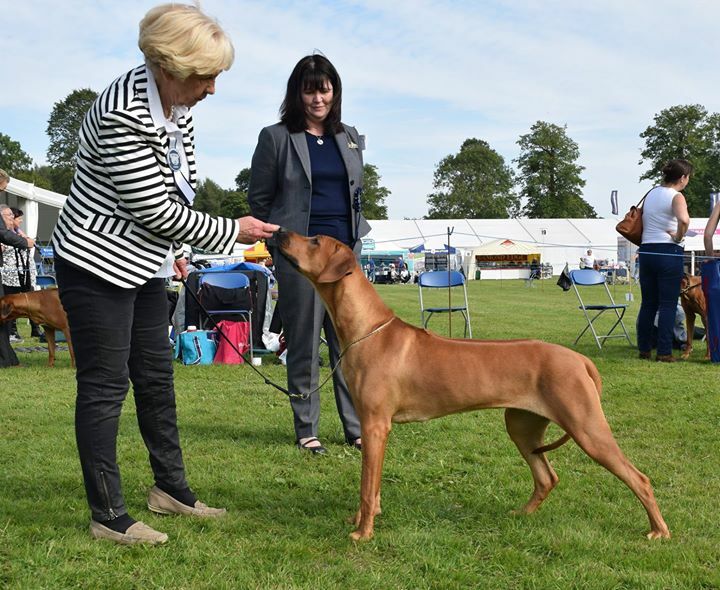 It is not an easy thing to do to make up a dog to a Champion in the UK and we are so proud! 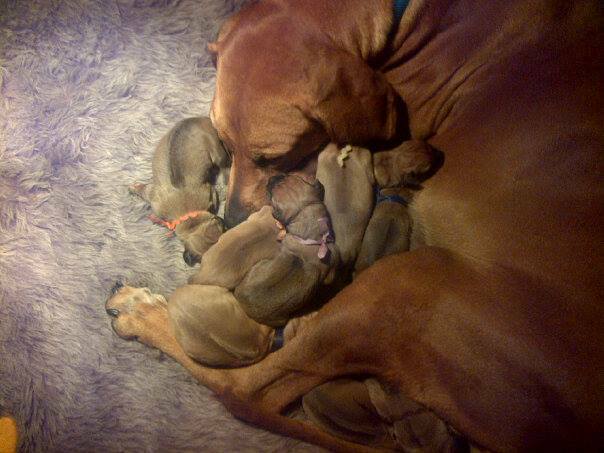 GB Ch Kiromol Tallulah whelped 10 lovely puppies on 10th of May. 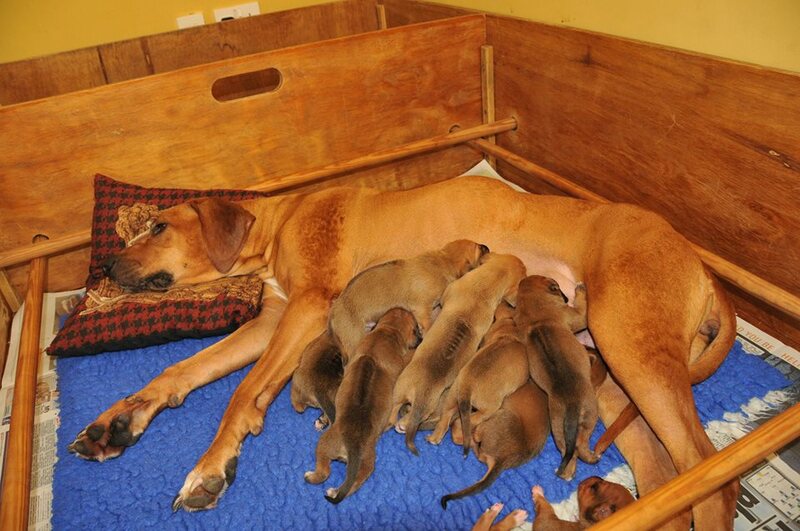 6 boys and 4 girls. Proud father is Roseridge Royal Romeo JW, aka Merlin. 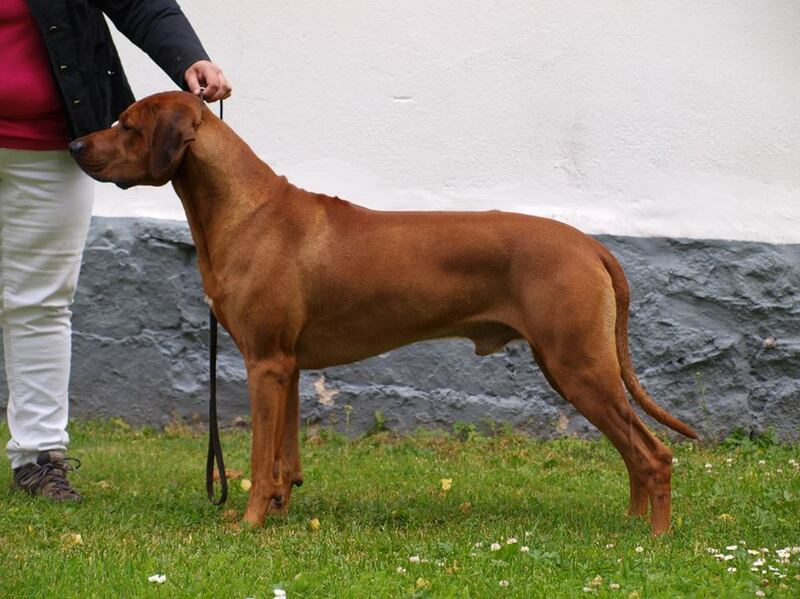 SA Ch Roseridge Royal Rowan – now a daddy!